As 2014 comes to a close, I can’t help but rejoice in the abundance of friendships, health & happiness I have come to enjoy this year. I’m looking forward to embracing the challenges as well as the successes of my friends & family in 2015. What we choose to consume today directly impacts how we, and future generations, will live tomorrow. Thanks again for supporting sustainable agriculture and saying “yes” to positively impacting the future. 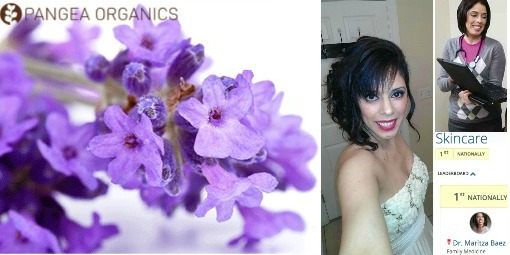 Order at http://www.pangeaorganics.com/buffalo and I will give you 4 free samples as a thank you! Happy Holidays! Order by December 15th to ensure you receive your orders byDecember 25th. Our standard delivery time-frame is anywhere between 7-10 business days. Delays should be expected during the holiday season, so place your order as soon as possible. To allow for delays, set the expectation and add 1-2 business days to delivery times. Give the people you love the gift of radiant beauty. There’s a Pangea Set for everybody on your list! Here are some holiday gift ideas to help you get a jump on your holiday shopping. Perfect for a friend who needs a little pampering (or perhaps yourself! ).Soak in the pure plant goodness and drape yourself in our exotic essential oil aroma. It’s the perfect thing to relax you into the New Year. Introduce a friend or family member to the Pangea experience. If it’s the first time your loved one is trying Pangea, give them the essentials for radiant skin. The winter moisturizing magic duo! Experience a heightened level of hydration by combining a few drops of the Balancing Oil with the Facial Cream. This is the perfect way to ward off dry skin on the slopes and the streets. This certified organic Lip Balm features a base of deep-moisturizing organic oils that offers tremendous rejuvenating capabilities. Our Balms are the perfect small gift to give during the holidays. Our bar soap is also a fantastic stocking stuffer or small gift to hand out at parties. Best of all, the bar soap packaging is embedded with Blue Spruce Tree seeds that you can plant to remember your Holiday memories by. 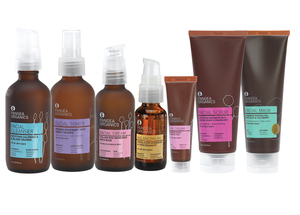 The Pangea Organics Facial Care line is formulated to nourish, balance and restore. Facial Care is segmented into 3 distinct skin types: Normal to Dry, Normal to Combination and Oily to Blemish-Prone. Formulated for dry to sensitive skin, this system offers robust moisture to hydrate and nourish your precious face with the highest quality nutrients and botanicals that nature has to offer.